Three people have been arrested and charged in connection with a crime spree that stretched from Miami through Broward and Palm Beach counties in late December 2016. As reported by West Palm Beach NBC affiliate WPTV, investigators were alerted to two men and a woman that were engaged in a coordinated effort to prey on bank customers. Police actually observed the trio in action, as the perpetrators watched the victims make large cash withdrawals at area financial institutions; the accused individuals would wait until the target would leave the money in a vehicle, then break in and steal it. The three face burglary and grand theft charges and bond was set at $30,000, raising questions about how bond works in Florida. When a person is arrested for a crime in Florida, a police officer will a designate bail amount that must be deposited with the court system in order for you to be released from jail. The amount depends upon the crime and other circumstances in your case. 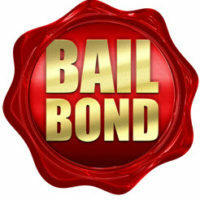 As part of posting bail, you purchase a bond as a promise to the court that you will appear for court hearings. A bail bond allows you to remain free, though with some potential restrictions, as you await a trial in your case. It acts as a type of insurance policy that protects against the risks of you fleeing the area. How does a Florida bail bond work? Using the above case as an example, the arresting officer designated bond for $30,000. Each of the accused must provide a check for that amount to be released from jail. If they attend all court hearings up through and including trial, the amount is returned. However, using a bail bond company may allow for release for a lower amount. Many of these bail bondsman will charge 10 percent, which means you would only be required to pay $3,000 for a $30,000 bond; this amount paid to the company is a fee, so it’s not returned to you. Through the arrangement, the bail bond company promises to pay the court the full $30,000 if a defendant does not show up for a mandatory appearance. What happens if I violate the bond terms? If you don’t appear in court as required, a judge will issue a warrant for your arrest. However, as it relates to your bail bond, there are additional consequences. Your bond is considered in default, and the company is allowed by law to use force to apprehend you. Plus, the bail bondsman must pay the court for the entire bond amount of $30,000. In turn, the company may choose to sue you for that amount – or take any property you’ve designated as security, such as your house or a car. Florida requires a bail bond in many criminal matters, so it’s important to discuss your case with a qualified criminal defense lawyer if you’re facing charges. An attorney may be able to reduce the bond or work with the court on bond conditions, and will represent your interests in court. Plus, if you’re accused of violating bond terms, a lawyer will fight for your rights. Fort Lauderdale lawyer Kevin J. Kulik has extensive experience representing clients in bail bond matters and all types of criminal cases. Please contact our office today with questions about your matter.